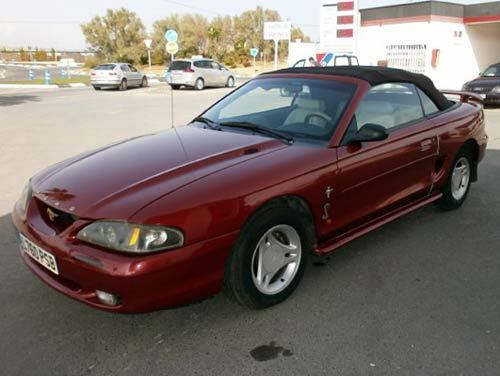 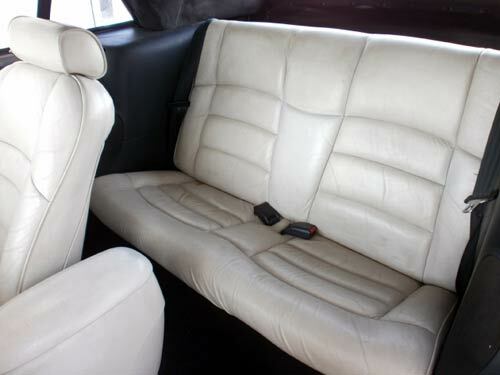 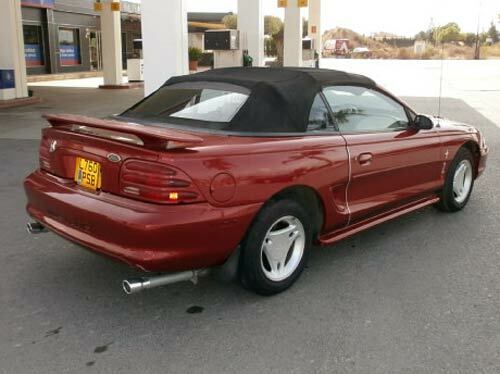 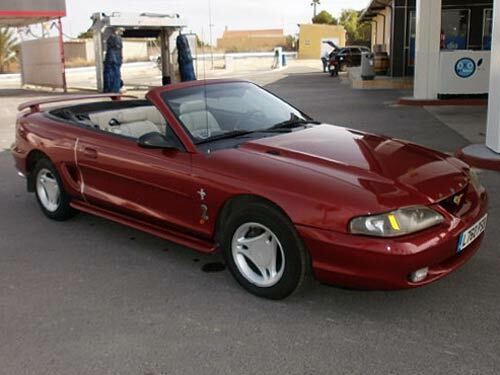 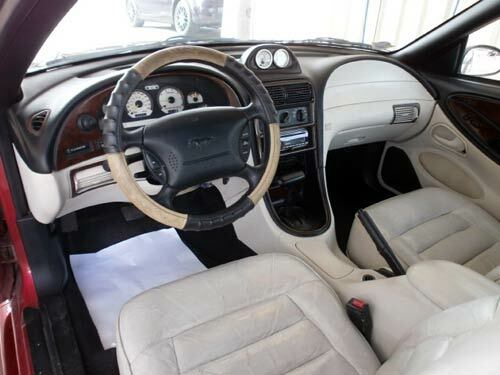 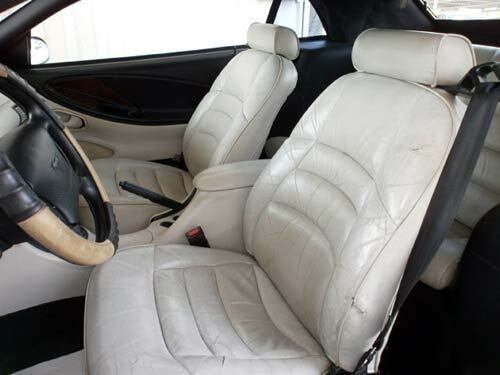 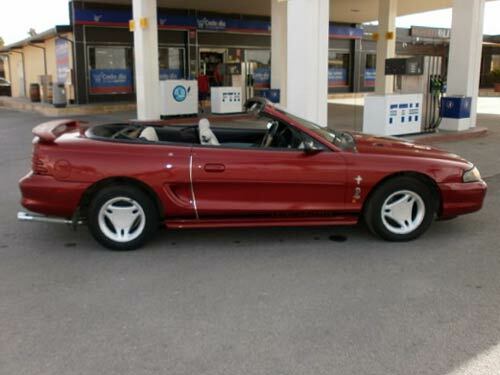 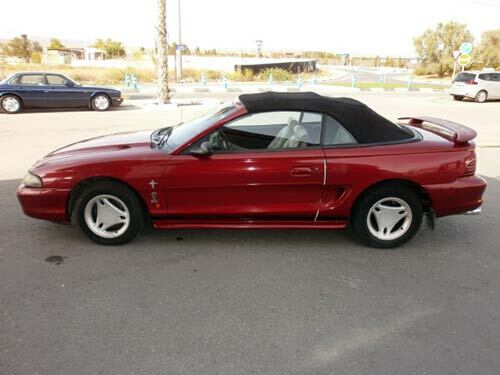 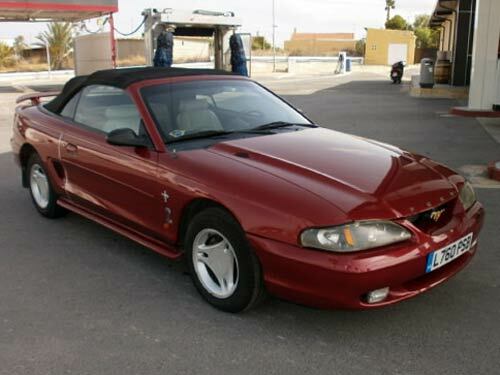 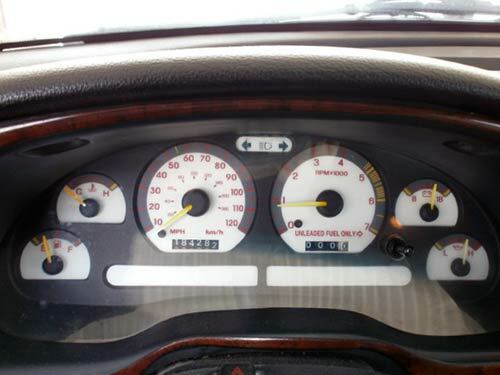 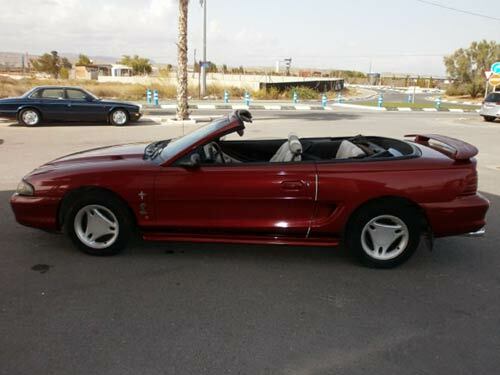 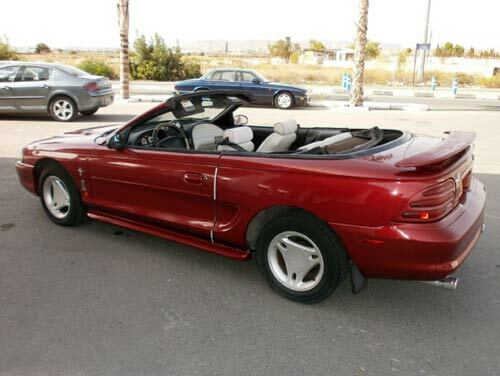 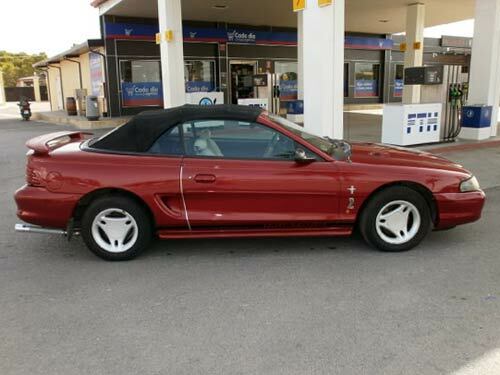 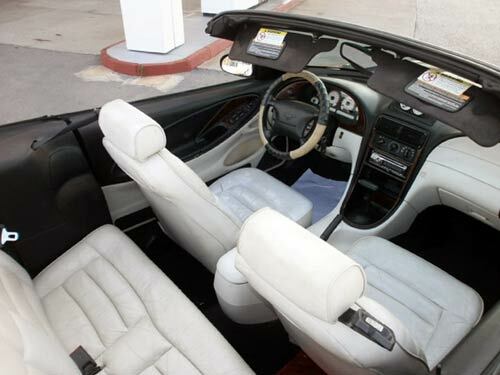 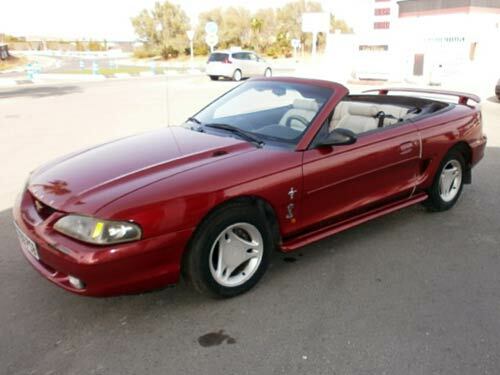 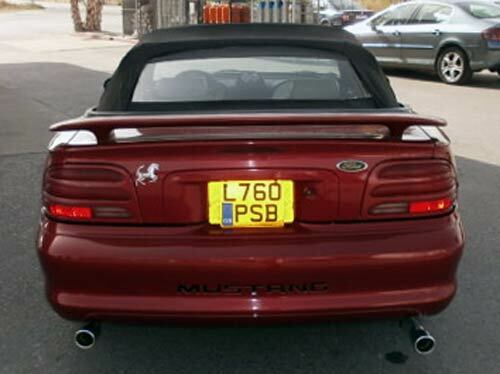 Used Ford Mustang car costa blanca spain - Second hand cars available Costa Blanca and beyond! 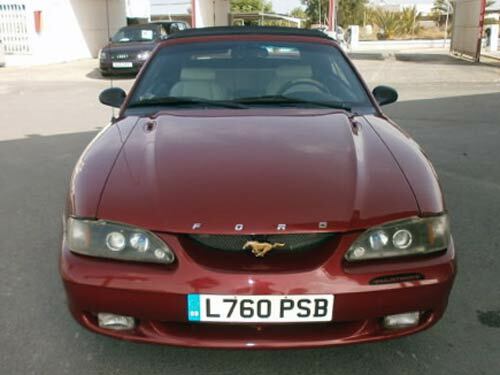 This thrilling (152 bhp) Mustang is registered in the UK, but could be easily imported. 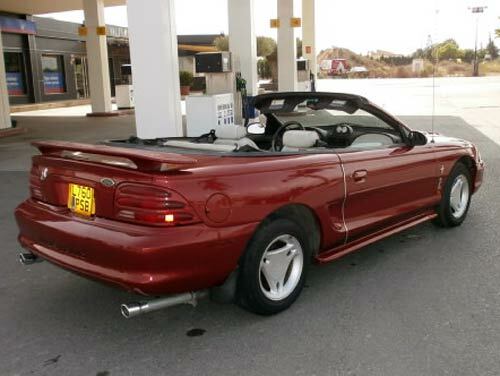 Looks superb finished in metallic red...and with the roof down!